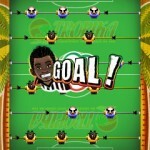 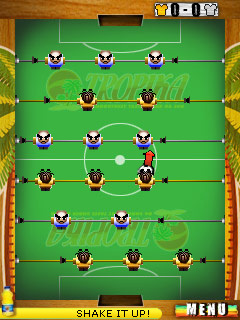 One-button foozball game for Flash Lite 2.1 compatible mobile phones. 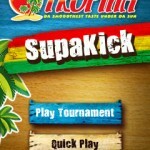 Use Tropika powerups to gain the upper hand both in both defense and offense. 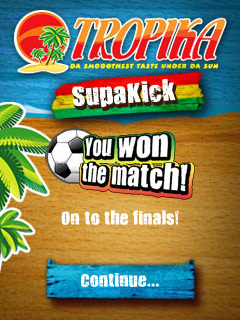 Make it through the qualifying round and then navigate the finals to claim the Airtime Cup and win airtime for your phone. 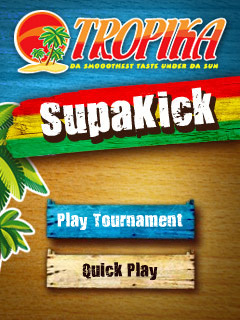 Quick-play for those times you just need a game NOW. 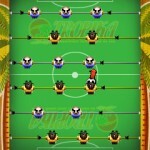 Building a foozball game for mobile phones is a tough challenge. 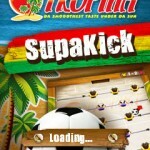 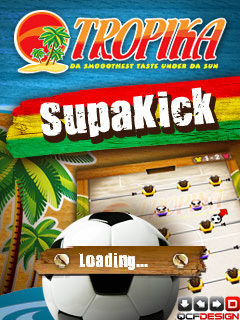 Tropika SupaKick’s nifty one-button mechanic is easy to pick up and friendly no matter what sort of phone layout you have (works on touch screens too), but it allows for some surprisingly deep play. 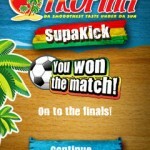 You’re going to have be good to win that airtime.